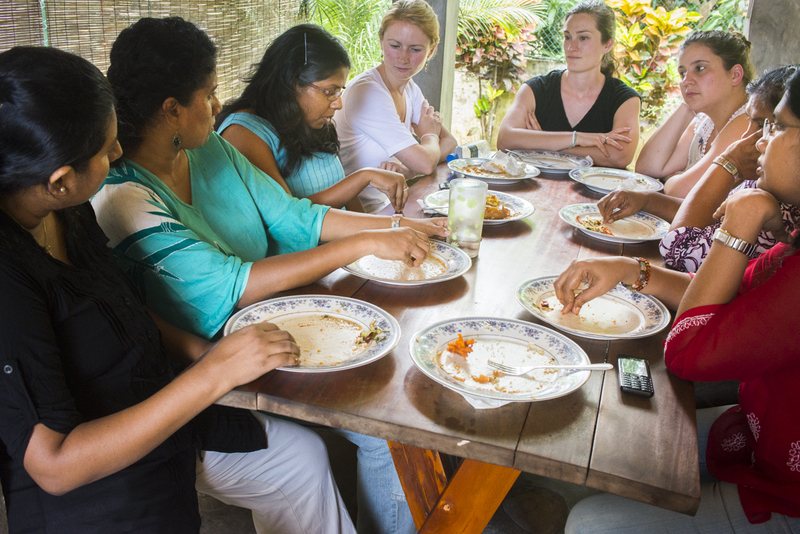 Sparking a passion for photography among GPI reporters in Sri Lanka – and their first photo essay! 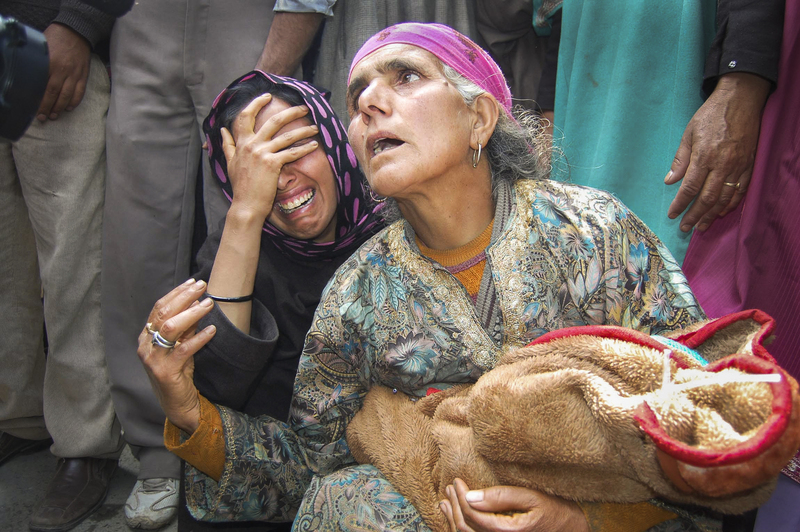 My work with the Global Press Institute, as the photojournalism trainer and photo editor, continues to be extremely rewarding as I get to see that spark of excitement in the reporters as they start to see the power of a strong photograph, and then the thrill when they take an image that captures what they have intended. 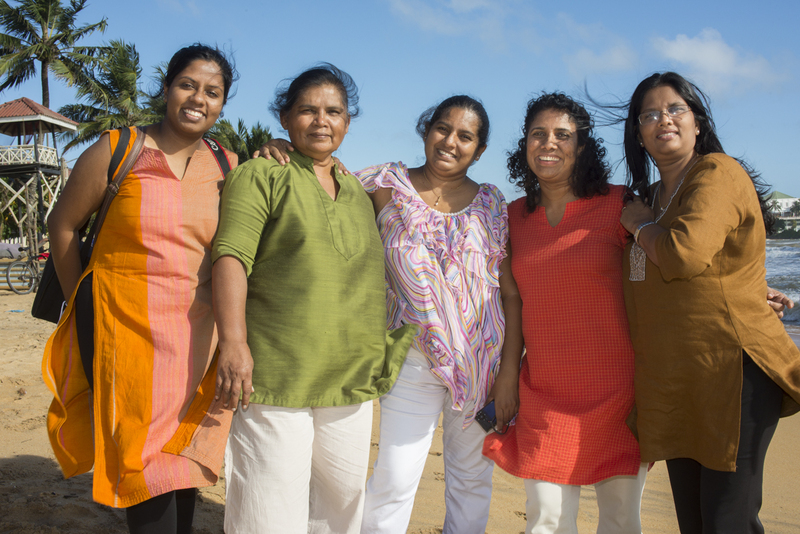 Having just returned from another training, this time at our news desk in Sri Lanka, I am filled with much gratitude for the experience and with excitement from watching our reporters develop an understanding of and passion for photography and how it can bring greater impact to their stories. I had a feeling from the start, as soon as I met Cristi and I pitched her the idea of this photography project, that this had the potential to be transformative, for GPI but also for me. It is a privilege to get to bring another tool, visually storytelling, to these 135 talented journalists working in 26 countries across the developing world. 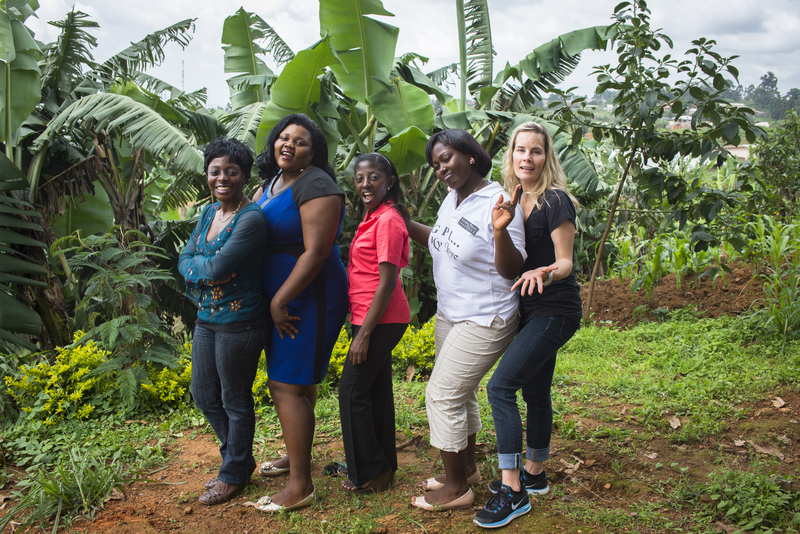 Perhaps what has taken me by surprise the most is how it has touched me on a personal level to connect with so many brilliant, brave and fun women around the world. I count myself fortunate that with every training I come away with such amazing new friends, women who inspire me, challenge me and renew my faith in the role of authentic journalism to change the world. One of the greatest learning opportunities for me has been sitting in on the editorial meetings we have at each desk and listening as the reporters pitch their stories and have discussions with each other about the various aspects of the stories and the issues they face in their country. 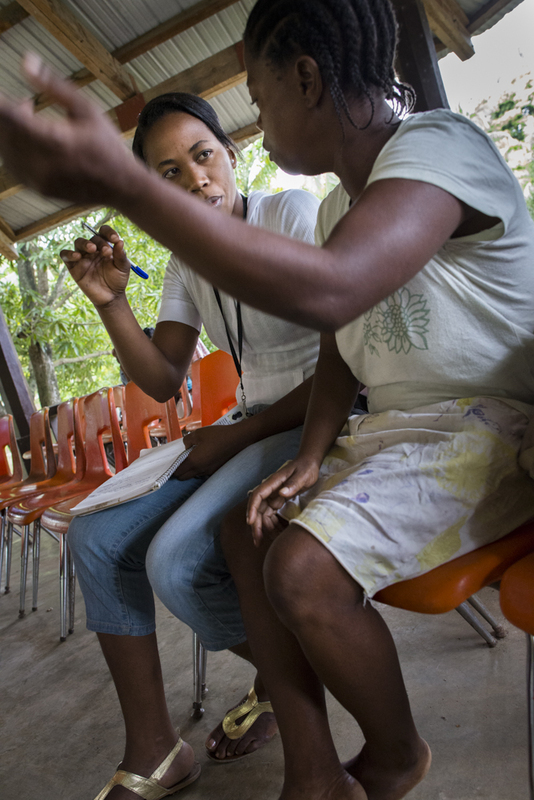 I come away with a much better understanding of their communities through the insightful and often vigorous discussions they have around story ideas. This illustrates one reason why the GPI model works so well, because no outsider would know about half of these things, or have the contacts they have to try to get information to flush these stories out. It has also been exciting and gratifying to have such an enthusiastic response from the world-class women photographers I have reached out to help me with this project. I have a list of photographers whose work I very much admire ready to go teach a training when we find one that works with their schedules and when we hopefully get the funding we need from the Kickstarter campaign! Newspace Center for Photography and Pro Photo supply sponsored a great event for our project in Portland last week, and photographer Joni Kabana spoke about her experience teaching the class to our reporters in Argentina last month. She came away with a profound appreciation for the importance of the work GPI reporters are doing and also a lasting bond with the women she had taught. How fantastic it is to have a group of women photographers and journalists around the world coming together to teach and support each other! Many people have remarked to me that this seems to be what I was meant to do, and I can’t disagree. I have been able to bring together things I am deeply passionate about, journalism and photography, to help expand the platform women have to tell their stories and make their voices heard. Most of all I get to share my love of photography and see that spark lit within others. 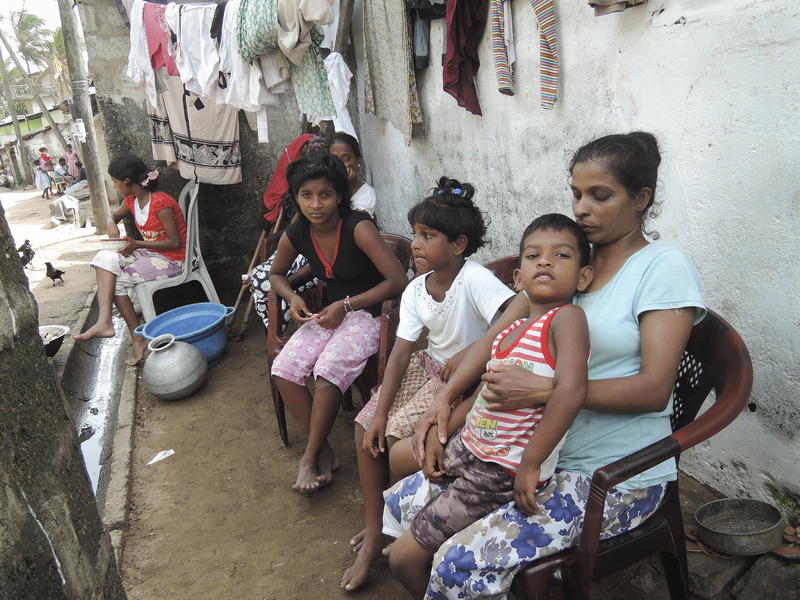 Within 24 hours of finishing the class, the reporters in Sri Lanka created a group photo essay about the celebration happening that weekend for the Buddhist holiday Vesak. As they develop as photographers through practice and ongoing visual mentorship, I look forward to the impactful photographs that they will continue to create. 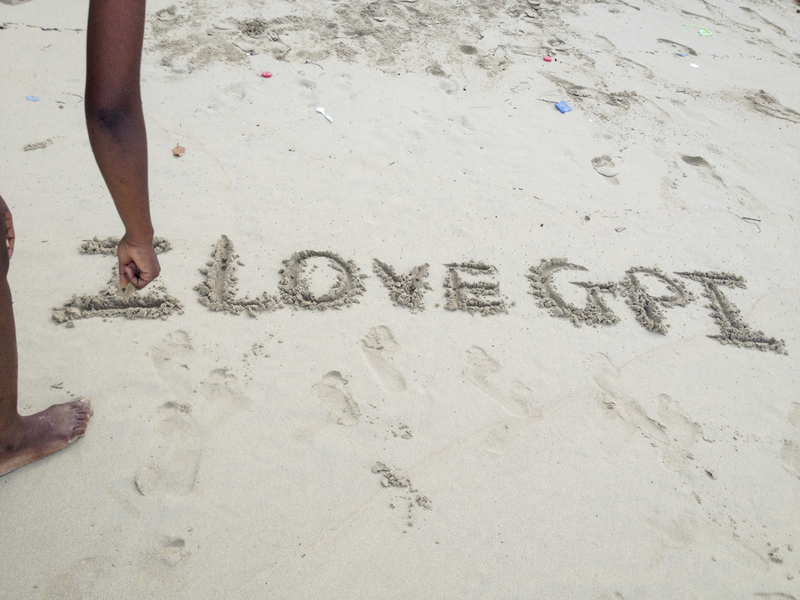 Traveling to our news desks around the world, I have come to understand that GPI attracts truly exceptional women in these communities. They are often from different backgrounds, religions or castes, and they bring with them differing degrees of formal education and experience, but they share a strength, bravery, and intelligence that is truly inspiring to be in the company of. 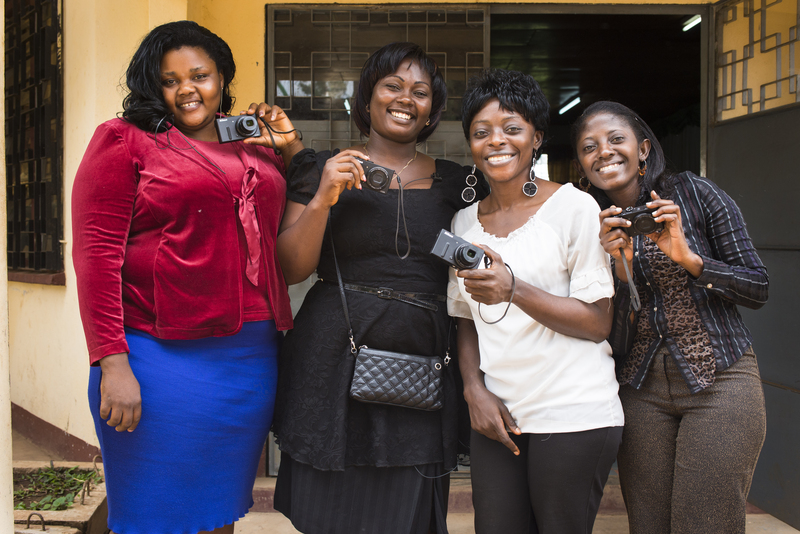 These women also share a commitment to working hard to become highly skilled journalists, and now photographers, with a profound passion for their craft and for the vital role they can play in telling the stories of their communities that the world isn’t hearing from other media outlets. During lunch one day, a reporter thanked Cristi for walking the walk and talking the talk, for staying committed to high level ethical journalism and for making the choices time and time again that keep GPI in very limited company of news organizations that are truly independent and will do whatever is necessary, even sometimes turning down much-needed funds, in order to stay that way. Cristi teared up, something you won’t see often from this hard charging entrepreneur and seasoned journalist, but it is truly very moving to hear our reporters talk about what GPI means to them. 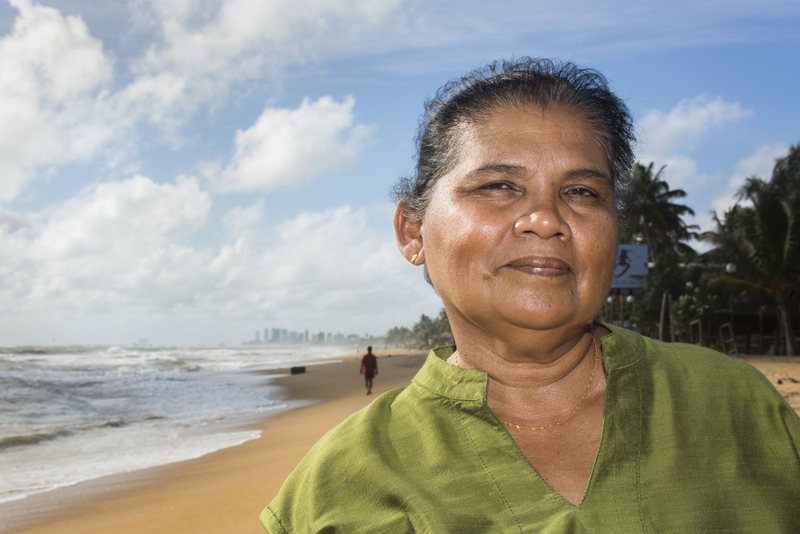 Global Press Institute is the result of 7 years of Cristi’s unceasing hard work and dedication to make her vision, one that many people told her would never work, a reality. She believed based on her own experience as a foreign correspondent, that the people who were best suited to tell their stories were people who lived in those communities, and that all they lacked was high-level training and a platform, two things she could give them. Cristi’s vision of a new model for international journalism has been so successful that our reporters stories are read by more than 5 million readers a month and are picked up by newswires such as the BBC, NPR and Reuters among many others. Our reporters’ stories have had a direct impact in their communities, including prompting two law changes, in Nepal and in Rwanda. GPI is creating and keeping alive meaningful and balanced journalism in these countries, and delivering unique content to readers around the world. The addition of photographers at each desk will elevate the impact of their stories even more. Do you believe in the power of photography to help people to connect with and understand a story in the most fundamental ways? 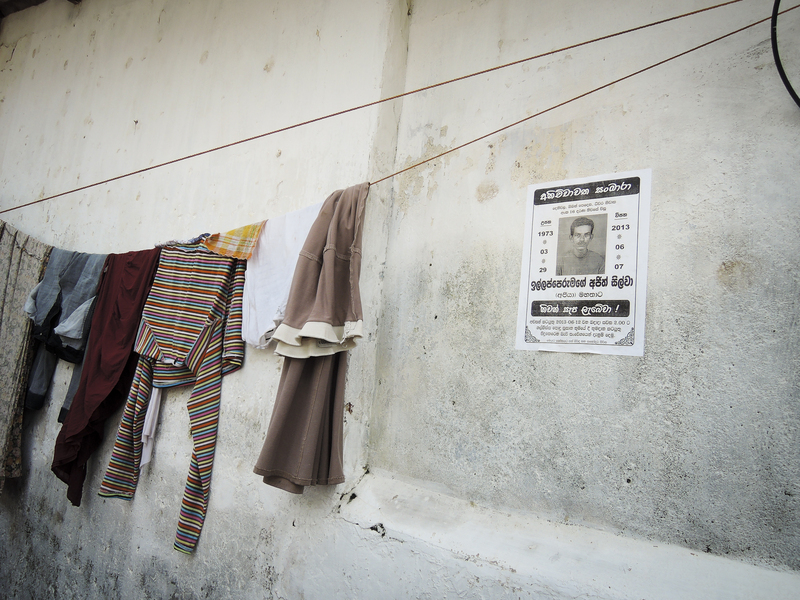 You can be a part of this effort and help to insure the reporters have the visual tools they need to bring the world images of stories that otherwise might go unseen. Please consider joining us on this mission by donating to our Kickstarter campaign. We are in our final weeks and we must meet our goal to be able to provide photo trainings and cameras for reporters at 10 more news desks. Will you help? $100 will provide the photo classes and a year of visual mentorship for a reporter! 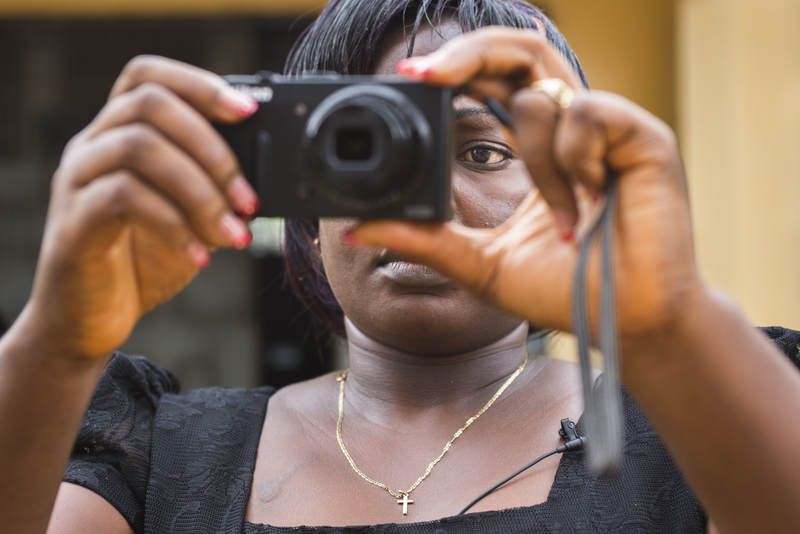 If you share the campaign on your social sites and with friends, it will help us reach our goal and you will have played a critical role in empowering women photojournalists in the developing world. How great is that? And be sure to become a regular reader of the Global Press Institute website to access the reporters’ award-winning stories and see the images they are taking. 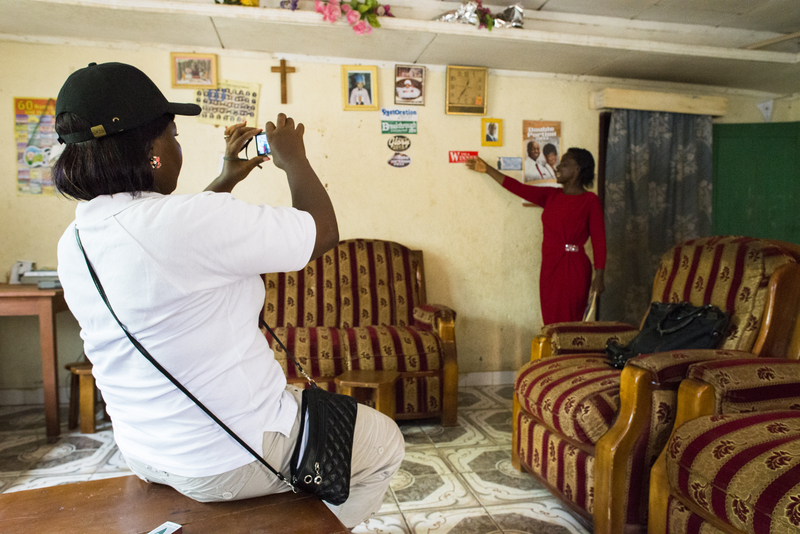 A photo gallery went up today by one of our most promising photographers, Comfort, who took the training last month in Cameroon. 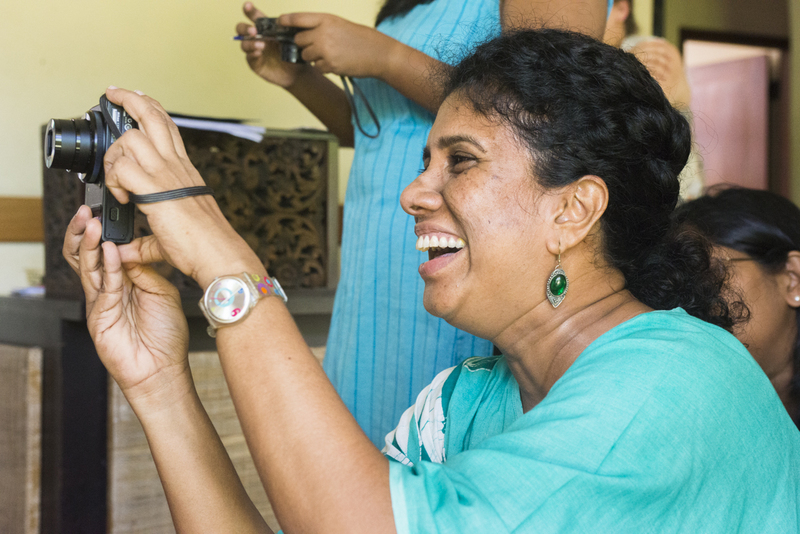 Imagine when we are able to bring cameras and photo training to all of our 133 reporters around the world, It’s so exciting to think about the impact that will have! 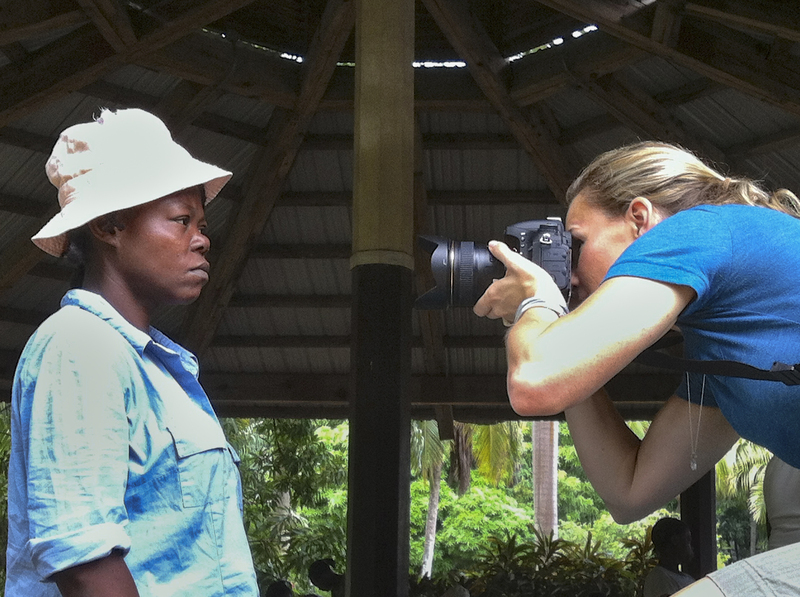 Be a part of helping to arm GPI reporters with photography training and cameras! Check out our Kickstarter page! Every where I go people ask me about what they can do to get involved and help support my project and the work of the Global Press Institute. I am thrilled to say that our Kickstarter campaign is up and running and you can directly support our efforts in bringing cameras and photo training to our amazing women reporters around the world, as well as in the creation of a photo book and exhibitions to showcase their work and the story of GPI. I felt the same way when I met Cristi Hegranes and learned about GPI, realizing that she had created that elusive thing, a program that brings long-term positive change to the lives of women in the developing world, and on top of that is creating a new model for international journalism. 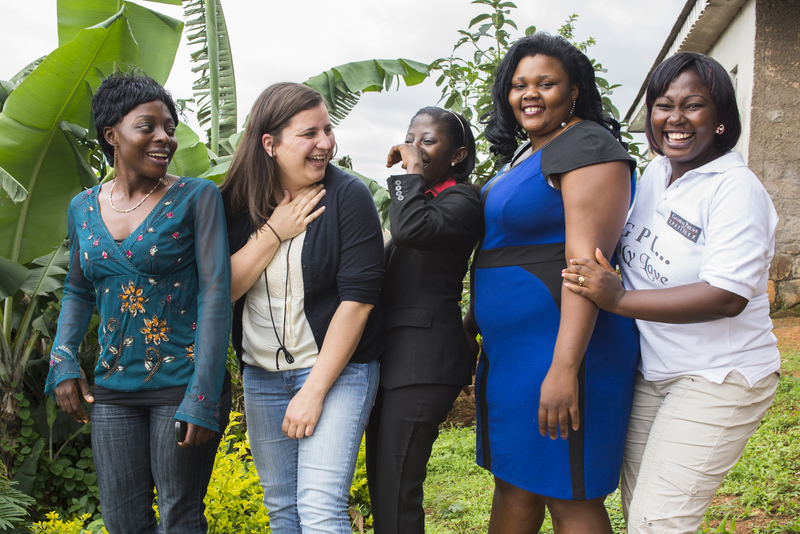 On both the global level and in the lives of the women it employs, GPI is a changemaker. That is why I got involved as the photojournalism trainer to bring the power of visual storytelling to the talented GPI reporters, which we have now done in Nepal, Haiti, Cameroon, Kashmir, Argentina and later this month I will be going to Sri Lanka. Help us arm the GPI reporters at 10 more desks with new cameras and photojournalism training to give them additional tools to tell the powerful stories in their communities. And please consider sharing this with your friends and posting the link below on your social media pages. 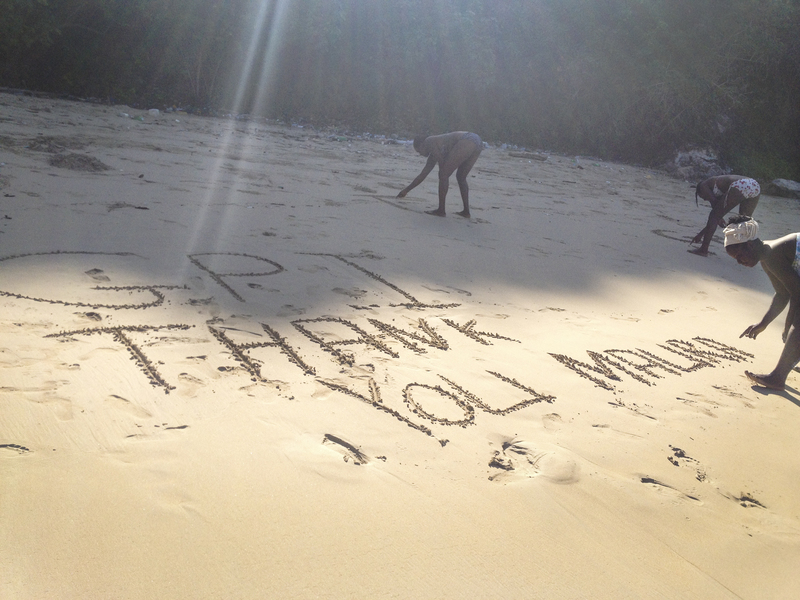 With much gratitude from the reporters and the entire GPI team! As I have traveled teaching photography, in Rwanda, Nepal, Haiti, and now Cameroon, this is a common message from the women and girls I meet. Based on their experience and what they see around them, photographers are men and so most of the reporters never thought of photography as something they would pursue. When a reporter here told me “I thought only men were photographers”, it was after a day of photo training, when we had looked at a lot of photography and photo essays and they had begun to see the power of images and were realizing that this could be another form of communication for them and a new tool to tell their stories. It’s so exciting to watch that light go on when they discover that they can and will be photographers and that they will be able to harness the power of visual storytelling. I am very grateful to Pro Photo Supply for their continuing support of my work and for becoming the equipment sponsor for our Cameroon desk by donating the cameras our reporters will be using here. Nakinti, Irene, Comfort and our newest reporter Mosina, live and work in different towns so it was essential that they all have their own cameras. It will allow them to be able to take photographs for every story, increasing the impact of their work. We continue to tweek the original curriculum that I had put together, as we learn about new challenges our reporters face, additional skills we want them to have, or when we find better approaches to some things. One of the recurring issues we are seeing and realizing we need to address more, while true for photographers everywhere, seems to be even more of an issue in many of the reporters’ communities, and that is the difficulty in finding a comfort level with photography, both in taking the pictures and in trying to make their subjects comfortable. In Haiti reporters told us that they wouldn’t be allowed to take pictures, because people were generally suspicious of why you were taking it and what you would do with it. I think they were surprised when we went to a local hospital to do a workshop and we had people lined up wanting to have their picture taken, and it was a good lesson not to assume that your subject will protest. But I know that they and reporters at other desks have faced a number of difficult shooting situations, and it’s true that these are sometimes challenging environments in which to make pictures, in part because photography isn’t nearly as prevalent, in some cases there are cultural objections to photography, and there is not a paparazzi culture as we have in the US, where you know there is a possibility of having your picture taken around any corner. So like photographers everywhere, the reporters are learning to negotiate those spaces, to find their own comfort level in photographing people and to teach their subjects about why they need to spend significant amounts of time taking their pictures, rather than just the quick snap shot that they are usually expecting. 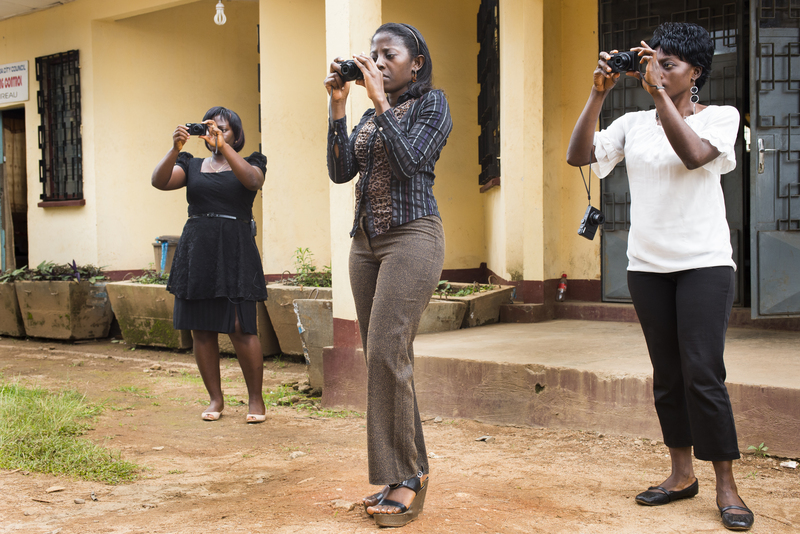 I just returned from Cameroon, my most recent trip to teach the photojournalism program to the fabulous women reporters of the Global Press Institute. I did some writing while I was there, but it was one of the most challenging locations yet in terms of electricity and internet capabilities, so I’m finally sitting down to start posting my thoughts from the week. It is just one more reason to admire the work that GPI reporters do every day, when you see how much of a struggle it can be just to get online and communicate with their editors, update their stories, let alone try to upload photographs to me. Cristi and I received an incredibly warm welcome in Cameroon and had an amazing week, teaching, eating good food, making new friends, and learning a lot, including some Pidgin, my favorite saying being “Photo na da lie”, which the reporters inscribed on a picture frame for me as a gift. 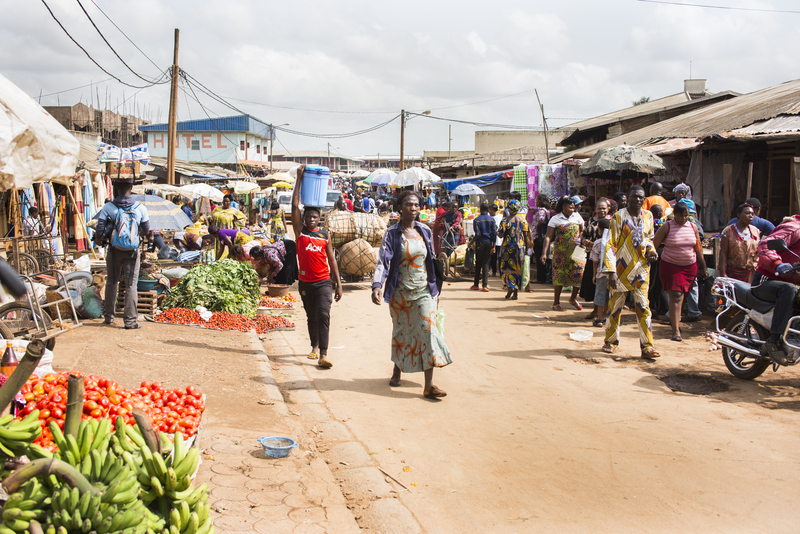 The reporters taught me this Cameroon Pidgin proverb during a conversation in class about whether a photo should be considered a fact, or the “truth’. As you can tell, we had a great time, which really reflects the tone and environment that Cristi has created at GPI. Everyone works very hard and takes their commitment as journalists very seriously, but we also have a lot of fun and there is the very real sense that this is not a top down organization but instead it really is a team and the work is a collaboration. It is so great to be here in Bamenda Cameroon with our GPI reporters, especially after a long journey of almost 42 hours including the 7 hour drive from Doula during which we lost 2 hubcaps from the many bumps in the road. Every minute of the travel was well worth it, to finally get to meet in person the reporters whose photographs I have been working on as the GPI photo editor. I am really looking forward to the week and to our first photography class tomorrow! After the last day of training, we got a ride out to the local beach to take portraits of the reporters for my ongoing project, which will eventually bring together images of all 133 + Global Press Institute journalists around the world. We also thought it would be nice to relax, after a long week for us and for the students who put in very long days at their college and then would come to the GPI trainings each day after school. 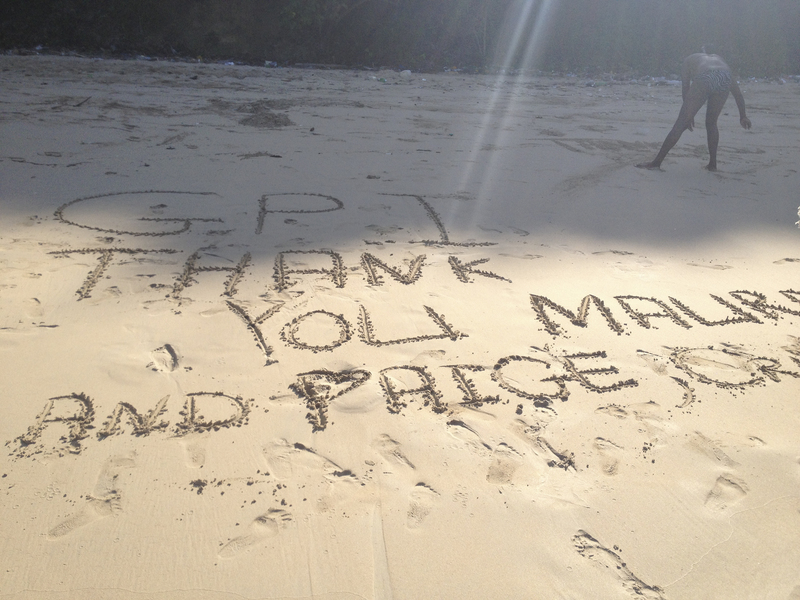 After swimming and playing around on the beach, which always has a way of bringing out the kid in all of us, we began to write in the sand. The reporters wrote these notes for us which I think convey the love and appreciation that they showed us and which we feel for them in return. 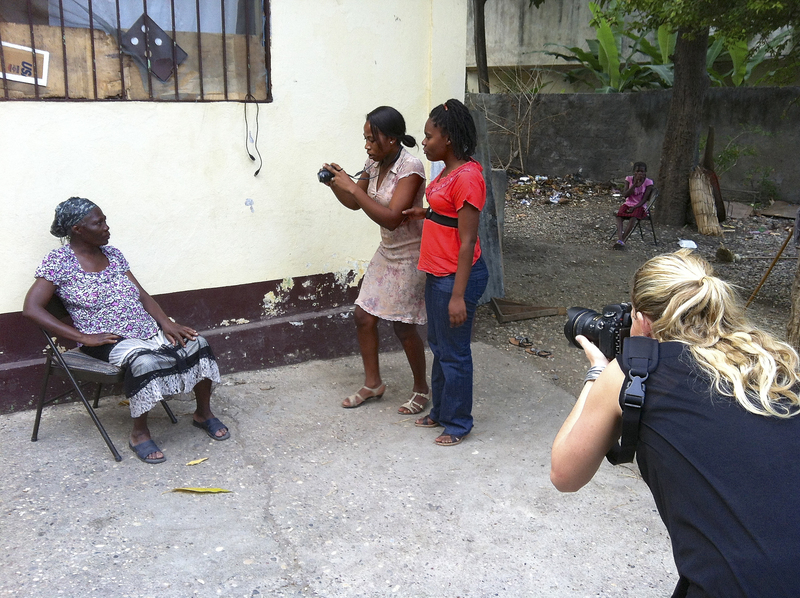 I can’t wait to see the stories and the photographs that will continue to come from the amazing ladies at the GPI newsdesk in Haiti! We are coming to the end of what has been a very successful trip on many levels. I will miss the reporters here, but Maura and I both feel a bond has been formed which will help us all as we work together in the future. 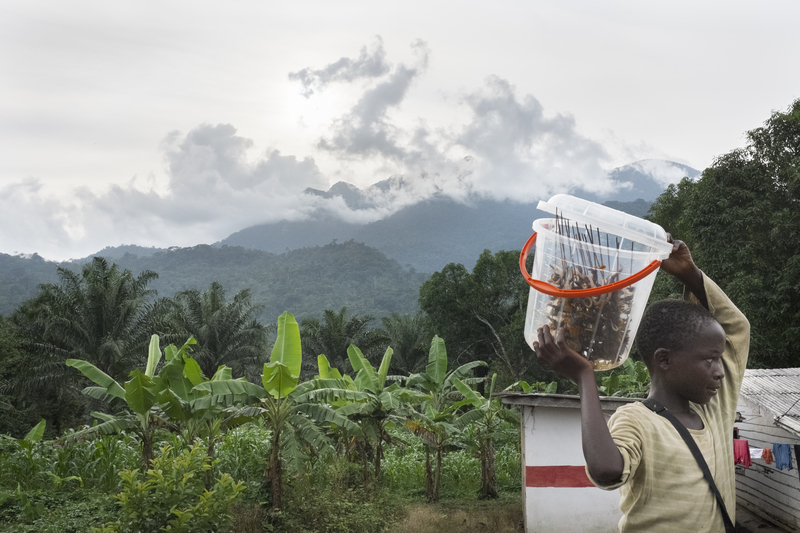 It is nice to be able to edit the work of someone you have gotten to know and it helps to understand the stories they are covering now that we have been to Jeremie and seen many of the places they write about. Each community has it’s own challenges for reporters, especially with different societal views about the role of journalism. I had a great time doing some shooting of my own, though there were times that for safety reasons it was better that I not bring my camera out with me. In certain places it was made clear to me that people would not want to have their pictures taken, but that was not the case everywhere. We did a hands on lesson at the local hospital where the reporters found subjects to interview and photograph. To my surprise I turned around and there was a line of people, wanting me to take their photograph, something I was very pleased to do. I plan to send the images back to the newsdesk to be printed for them so they can have a photo of themselves, something very few people have here. Our trip wouldn’t have been the same without guidance and assistance from Les, who helps to run the hotel where we stayed. He was kind enough to take time from his schedule to give us a tour of Jeremie where he grew up and has now moved back to, after many years living in the states and working on Wall Street in New York. His unique perspective taught us a lot about Haiti and I very much appreciate that. 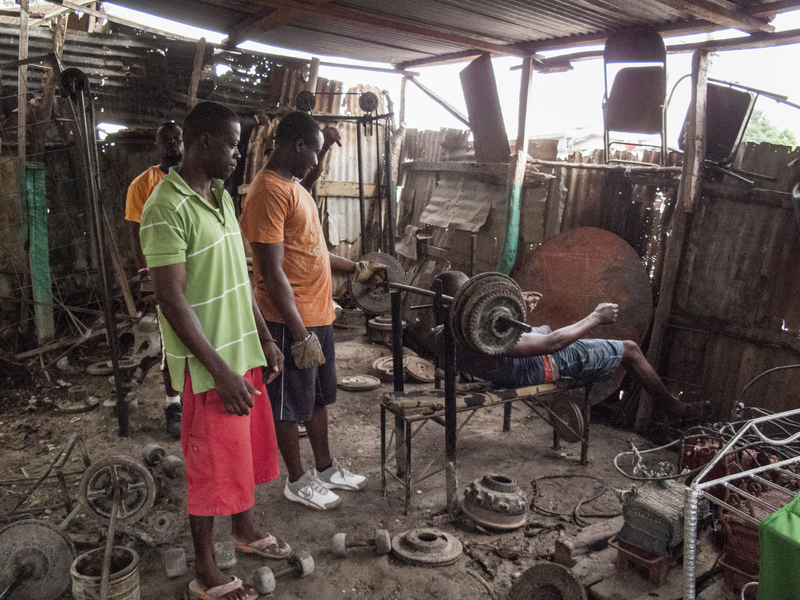 He took us to an open air gym where he and some other guys have built their own weight lifting machines out of leftover scrap metal they have found. As he said, they have to be creative and made due with what they have. Thanks to Jon and the folks back at Pro Photo Supply in Portland for their ongoing support. I have found that with my neck issues, my D4 gets really heavy on these long trips and so they lent me a D600 to use which has really helped. I also fell in love with the 24mm 1.4 lens that I borrowed, so now I know what to start saving up for next. Time to head home and catch up with my kids. I am also looking forward to the upcoming GPI summit in San Fransisco. It will be great to come together with GPI editors who have flown in from Nepal, Nigeria, Rwanda and Argentina, and founder Cristi Hegranes who is always energizing and inspiring when she talks about the mission of the Global Press Institute, to empower women and to change the face of International Journalism.